For the love of the beats. Suns of Arqa’s 1980 album Revenge of the Mozabites sounds like it came from a future without borders. Indian tabla, Celtic strings, flamenco guitars, and pounding dub basslines reverberate throughout the album—the sound of cultures and nations colliding and their music intermingling. 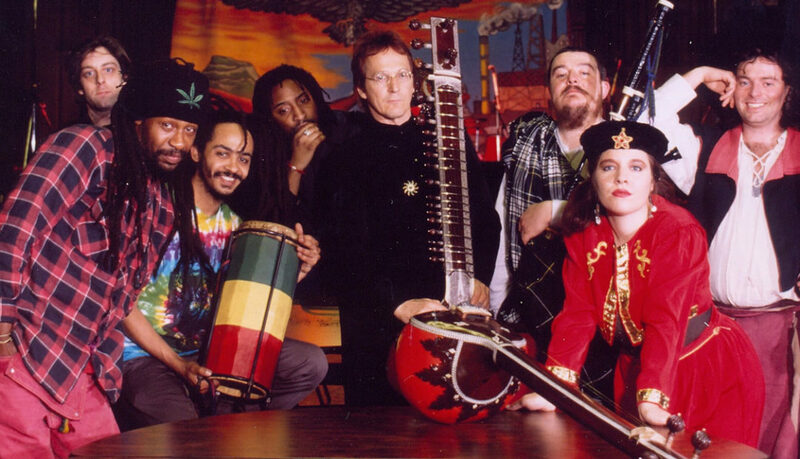 “I was steeped in reggae, but then I heard the music of the great sitar player Vilayat Khan and it turned me onto Indian classical music,” says Suns of Arqa founder Michael Wadada. Wadada’s music career began in Manchester, U.K., during the creative torrent of post-punk that produced other globally-minded bands like The Pop Group and PiL. Eventually, Wadada began exploring the intersection of Jamaican dub and Indian classical music with his friend Adrian Sherwood, who would later launch the legendary On-U label. In 1978, Wadada formed Suns of Arqa; two years later, the group released Revenge of the Mozabites, which was mixed by Sherwood and featured members of cult On-U band The Mothmen playing alongside various Indian masters. 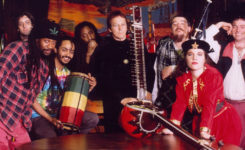 The album was years ahead of its time, and its East-West, dub/ambient fusion would go on to influence everyone from Temple of Sound and Transglobal Underground, to Zion Train and Afro Celt Sound System. The festival also allowed Suns of Arqa to reach beyond the small band of followers who had discovered the group because of their On-U Sound connection, and gradually, their international influence grew. “We ended up on the same scene as bands like Transglobal Underground, and other groups that all came around 10 years after us,” says Wadada. Suns of Arqa have continued to push the boundaries of global dub fusion, whether through an unexpected album of Leonard Cohen covers or their forthcoming dub opera Wolf of Badenoch. “What I am most proud of is that I just keep going and have been doing it for all these years now,” says Wadada.